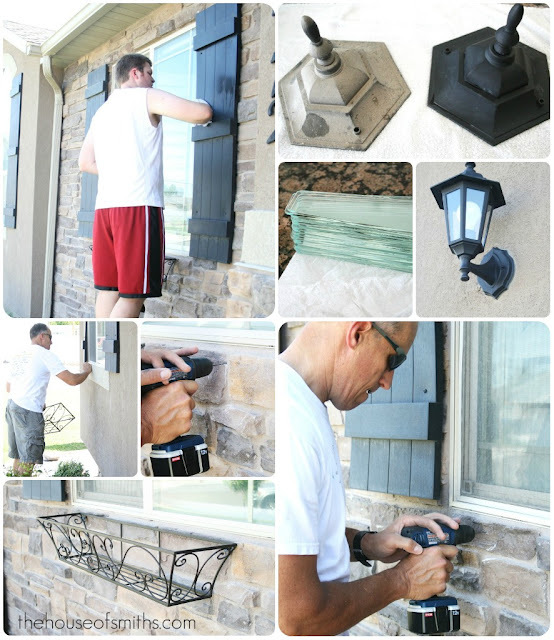 Kicking your Home up a Notch! We get asked all the time, "Your house is so beautiful are you ever going to move?" Well, that’s a hard question to answer given that we love our home, but also want to move closer to a bunch of things we feel sort of far from, here in the valley. Along with that question, we also get asked all the time about the things that we think would be most impactful to help boost the sales of other peoples homes. Every home, area and neighborhood is different; you can check out Homes.com for a great resource to see what the home values in your area are like right now; but for the most part, there are a handful of helpful tips that you can use, just to kick up the value and sellability factor of your home, that much more. For us, when we look at homes, the first thing we check out is the kitchen. If the kitchen doesn't at least have decent structure, layout and a good overall design, there is no sense at looking further... and I know we aren't alone. So think about YOUR kitchen. Does it need a facelift? Well if it does, don't get overwhelmed by this undertaking, think about the small things that can give you a great look for less. Matching Appliances: It’s not pleasing to the eye to walk into a kitchen and see a white fridge, black dishwasher and a stainless steel range. In some instances to save a few bucks, consider seeing if you can reface your appliances. Many times you don't need to replace the entire unit, work with the manufacturer’s and see if they have a different faceplate that would match your other appliances. Kitchen Faucet: Change out your faucet for something that would help sell your kitchen. Look into gooseneck faucets, touch faucets and more statement-type pieces. Spend a little more money here and you can create a big impact. 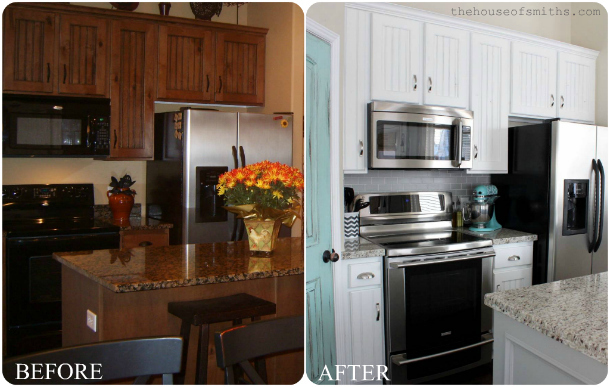 Cabinet Fronts: Don't replace all your cabinets, just reface, or paint the existing fronts. Make them on-trend, not trendy. Take some time to see what new home builders are putting in their homes; chances are you will see a lot of white. This update alone can make a huge difference. These little rooms can seem overwhelming as well. Don’t think too hard, take it at face value. What do you see right off that needs to be changed? New Toilet Seat: This can make your toilet look brand new. Spend the extra money to get a good quality slow closing lid, and make sure that the toilet seat you purchase actually fits the toilet well. 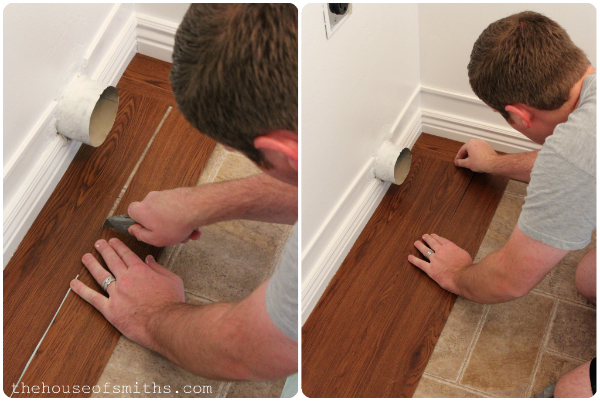 Easy Floor Updates: If you have a dated linoleum floor, consider retrofitting it with new easy peel vinyl flooring like we have done in our laundry room and master bathroom. Caulk: Start by stripping your old caulk and replace it with a fresh new layer. 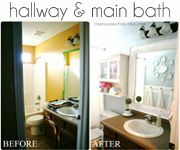 This will help create a new feel to the space around the tub, vanity, toilet etc… Nothing says "outdated" like stains and dirt. Wattage: Make sure that the right wattage is in each light fixture and each lamp to create the right ambiance for the space. Stay away from clear, white lighting for your homey spaces, this color light tends to make a space look cold and uninviting. Stick to warm lighting for those spaces. In a garage make sure you do the opposite and provide the brightest whitest light that you can. 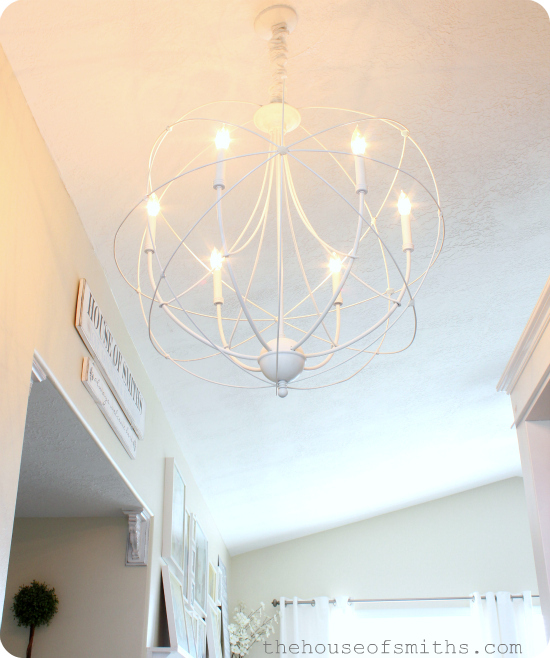 Update old Fixtures: Do you have a dining space that has recessed lighting that could be easily converted to a chandelier? Or do you have track lighting that has yellowed or aged that could be replaced? Finally, if you have ceiling fans, is it time to update your blades to something more on-trend? New blades can be purchased at any Home Improvement store and will cost a lot less than replacing the entire fan, if you want to go that route. It’s all about first impressions. Stand on your front porch and take notice of the things that you have been putting off! 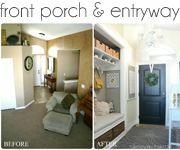 New Door Knob or just Paint: New doors can be very expensive, replacing the door knob for a statement piece will create a great impact without having to replace the entire door. 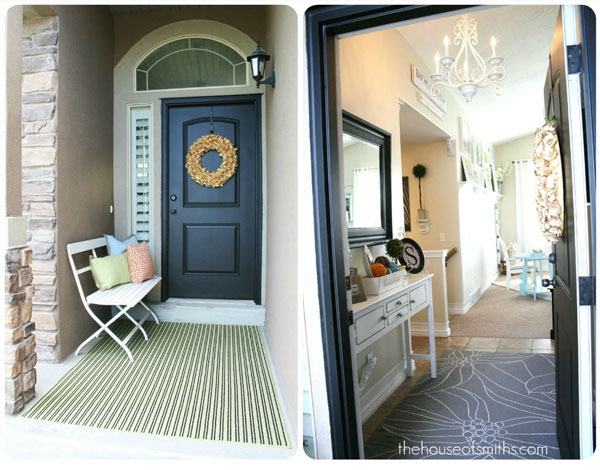 Repainting your front door can also help a lot too. Clean: Sweep, dust and power wash your porch. Make sure that your door is clean from dust and cobwebs. This alone will show your attention to details. Also, check your outside lighting. If you have glass panels in your outdoor lighting, take the time to remove them and clean them well so that the light shines through better. 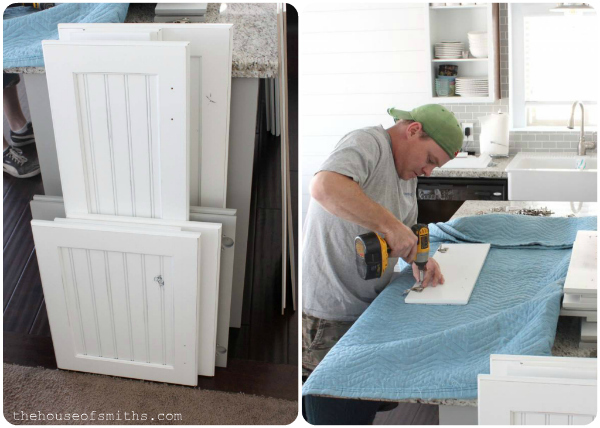 If you live in a home with little storage consider the following. Do you have too much stuff? Spring Clean: Could doing a good ‘spring cleaning’ help create more storage space? By going through your stuff, this should not only help free up space, but will force you to clean the spaces where you are currently storing everything else. Storage Units: If you ARE selling your home, consider putting some of your stuff in storage to showcase the storage space that you DO have! Add a room: It seems like an overhaul, but it’s not. Consider your home office, if you add a closet to that space you could count it as another bedroom! 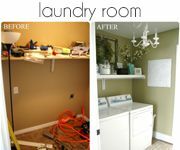 You can instantly add value to your home from having it go from a 3 bedroom to a 4 bedroom simply by adding a closet, where one may not exist currently. Whether you're moving, or staying in your current home, any and all of these projects would be great things to invest some time into. We always say... "That if you keep your house looking like you're always getting ready to sell it, you'll never want to leave!" Excellent advice. Your pics showed the story quite well. 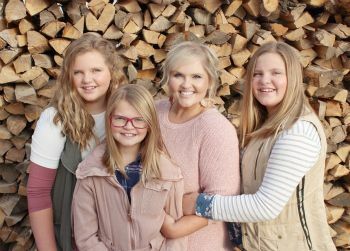 All these things are so true, and I really appreciate hearing them as we are still in the beginning stages of updating our fixer upper. You have truly done an amazing job! These are all such good ideas. 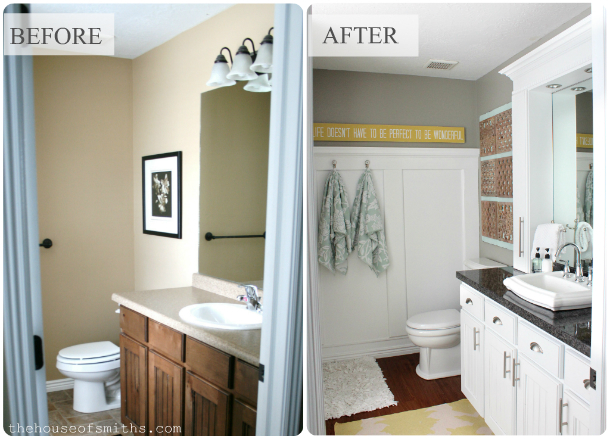 When we sold our last house, we had just updated the kitchen and the kids bathroom. Everything was spotless and clutter free. The yard was pretty, the porch was clean and welcoming, the windows were clean...everything I could think of. The house sold the first weekend!! This is great Shell, we were just considering the best ways to boost the value of our home. We've only lived here for a couple of years but think we may downsize when our baby heads to college in three years. That gives us plenty of time to update. 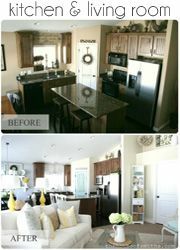 Can I ask - our kitchen is roughly the size of yours, in regards to cabinets. How much did it cost to reface yours as opposed to remodeling? Beautiful home, you two have worked very hard and it shows. 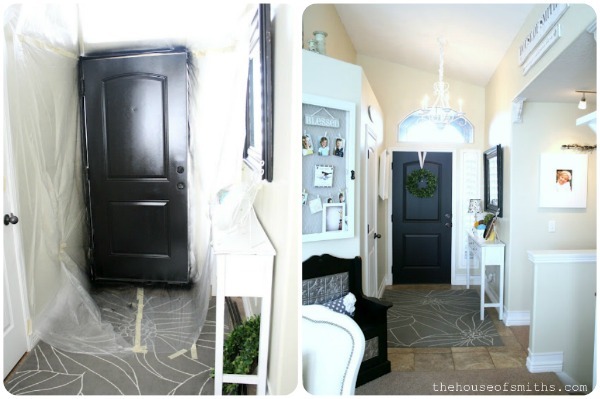 The transformation of each room is AMAZING! :) Happy Sunday to you. It's so funny but these tips are so true! I remember we looked at one house that had a massive spider web on the front porch (I'm talking 5ft wide at least!). I didn't even want to go in the house because if you let that big of a web collect on your front porch, what is going on in not so obvious places? Although my husband and I ended up buying a house with a terrible kitchen and bathrooms because it turned out to be a foreclosed home in a great neighborhood. We just finished our kitchen and only have two bathrooms left to renovate. So many great tips! You guys have done so much.....love all of it! this is awesome! 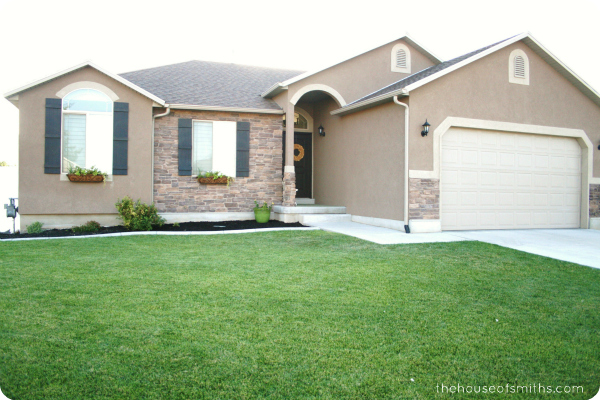 Hopefully this spring we can start our massive home "to-do" list! Thanks for all the suggestions! Great post! Love everything you have done. 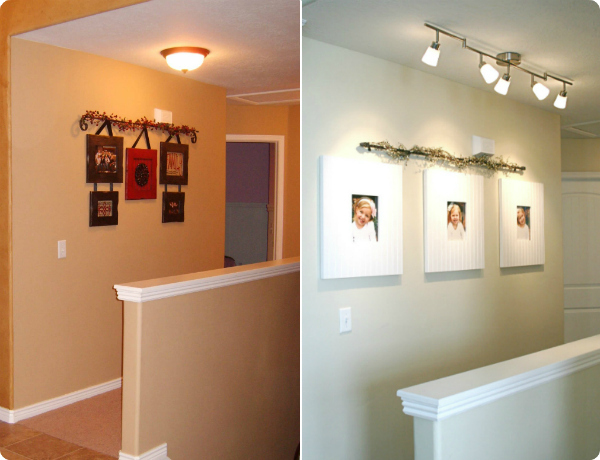 Great ideas even for those of us not wanting to sell but to "spruce up" our current homes! I am currently working on upgrading my kitchen. I came across this same sink at ikea and was curious how it holds up. I have heard that the material (ceramic) it is made out of can crack easily. Have you had any problems?? Swoon! I just adore your home. We are house hunting and this gives me hope that I can create a bright and happy place on my own. Looks like a lot of work but well worth it! What a great post! Thank you for all of your ideas - pinning! Next to your soap on the kitchen sink is a glass bottle. I've seen other people with those there as well. I'm wondering what I'm missing out on...what do you have in there...dish soap for a more stylish look? Oil--that for some reason you want to keep right there? Just wondering what useful tip I'm lacking that other's know about! Thanks. Very good! I needed another excuse to update the lighting in our home. What is the difference when you say, "on-trend not trendy"? 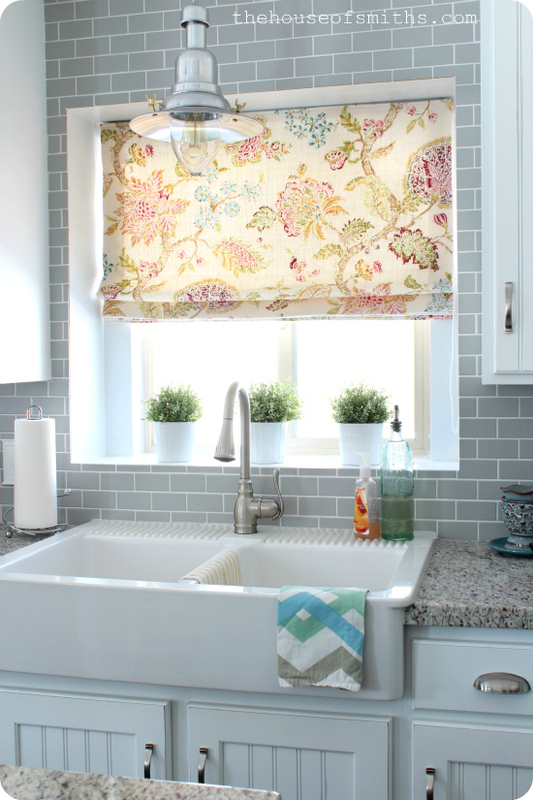 I love the fabric on the window above your kitchen sink. Would it be possible to find out where I can get it. it would go perfect as pillows on my couch. I love the fabric on the window above your sink!! do you who what it is called and the designer? and if at all possible where can I find it? I think it would be perfect as pillows on my couch. I love your sink project! the tier curtain is adorable!